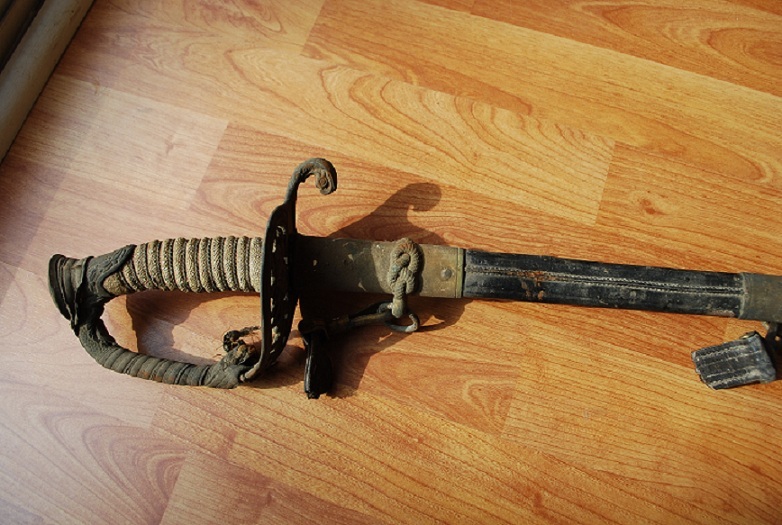 I got my grandfathers WWI naval sword from my father and it's been sitting in my grandmothers old un-lived in house for 10 years and hasn't been touch prob for at least another 40-50 years on that. Its in dire need of cleaning and preservation. I did searches and all that but hard to pin down what is best for this one. He got while we was was in the Navy during WWI. 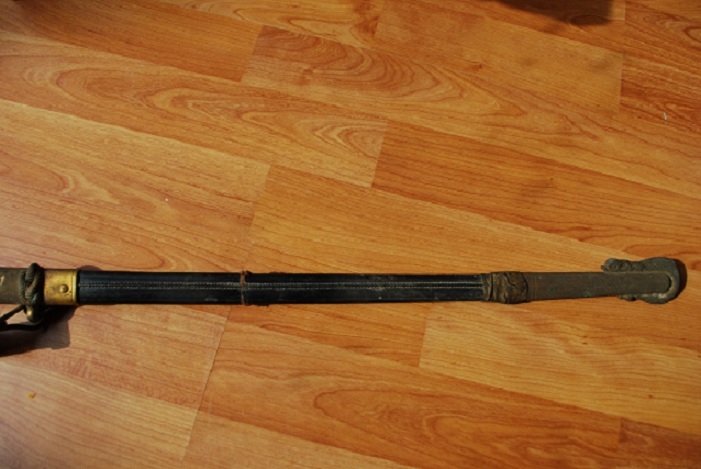 I got the belt with it and the scabbard but the leather needs treated bad. Also the scabbard is broke in the middle area so in two pieces but the leather on the scabbard isn't too bad. I'm really not sure what to do with the metal parts either. I want it to look nice but not ruin the value and all that. I cant give you any advise on the leather portions and have no idea what the steel looks like but I will advise never to use any sort of abrasives like sandpaper, steel wool or even polishing compound because thes may erase important features that may help identify what you have. Never use any sort of power tool such as grinders , wire brushes , sanders etc. You can leave it fully submerged in a penetrating solvent like WD-40 for a long period and keep checking on it, you will find the surface clears up quite well with progressive wipe downs but it requires patience. I'm not sure I can be of much help, but if you post a picture that could help. For the blade and bras parts you can use mild acids like vinegar or lime. Give it some time to work then wash off with soapy water and a plastic brush. Be careful not to make contact with the leather on the grip. Repeat the process until satisfied with the results. Don't leave acid traces on the blade for it can corrode the metal overtime. For blade conservation I use gun oil. This offers protection for a year or so (well, if you don't use the sword - I hope you don't). For the dried-out leather parts I use glycerin.